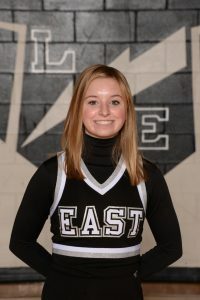 Malory is a junior on the Lakota East Basketball Cheer Team. Malory is a pleasure to coach. She is always on time, doing more than what is asked and giving 100% every practice and game! Malory’s hard work and dedication shines through each and every time she is cheering! She is a true leader and a wonderful role model and motivator for our cheer program. 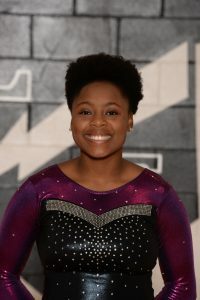 Tiyanna is a senior on the Lakota East Gymnastics Team. to be a state qualifier.